A well-cared for, environmentally-friendly crop. 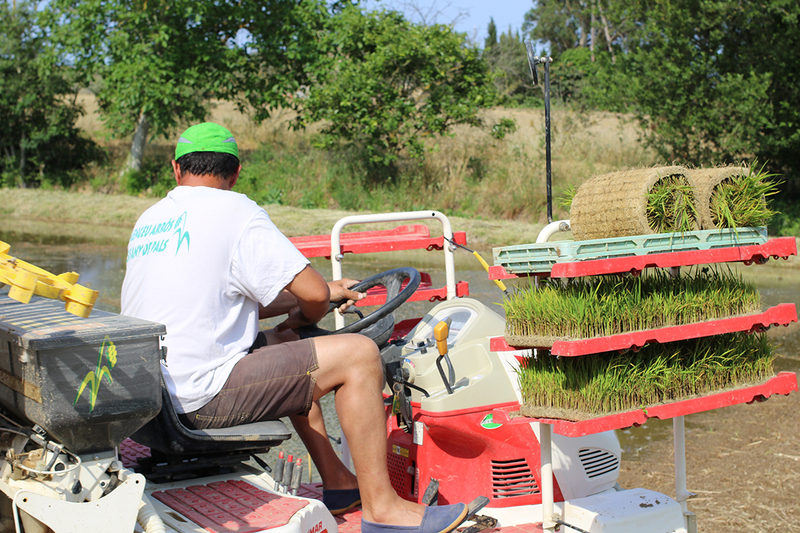 We cultivate a few hectares; which are isolated from the conventional rice area. In these we make organic farming with CCPAE certification. Here, we only cultivate Japanese varieties. Our company pays full attention to all the elements of quality involved in production, processing, packaging, etc., and combines the best of traditional techniques (handed down from generation to generation of rice farmers) with new farming methods (endorsed by agricultural experts and engineers). We prioritise the use of alternative energies. Controlling pests and keeping the paddies free of weeds are challenges that make us watchful of our rice paddies throughout the cycle. Achieving a crop with zero residue and being the most sensitive with the natural environment that surrounds it is our goal.